BERLIN — Six points behind midway through the season, Bayern Munich's bid to catch Bundesliga leader Borussia Dortmund begins Friday at Hoffenheim. The six-time defending champions find themselves in the unusual position of challengers after a difficult opening half to the season. Bayern dropped points at home against Augsburg, Borussia Moenchengladbach, Freiburg and Fortuna Duesseldorf, while losing matches at Hertha Berlin and Dortmund. 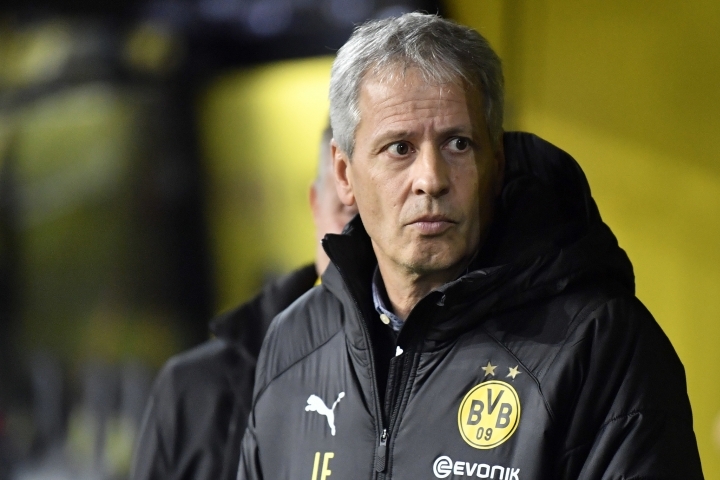 Dortmund, meanwhile, stayed unbeaten until a 2-1 loss at Duesseldorf shortly before the league's four-week winter break. Playing fast-paced attacking soccer, Dortmund has brought a breath of fresh air to the league. For the first time in years, it seems the Bundesliga hasn't already been decided at the halfway stage. Despite the six-point gap, Bayern's players still expect to challenge for the title. "There is no one in the team who doesn't believe in it," Bayern defender Niklas Suele said at the team's winter training camp in Doha, Qatar. "Six points are not the world. The most important thing is that we win our games, preferably 17 from 17 - and that Dortmund also drop points at some stage. I believe we'll be German champions." Since the draw against Duesseldorf, Bayern has stabilized itself with five straight wins before the break. Former Bayern coach Felix Magath, who led the club to successive league and cup doubles in 2005 and 2006, believes Dortmund will be caught. Dortmund chief executive Hans-Joachim Watzke was unmoved by Bayern's declarations. "What should they do? Should they say they don't want to be champions?" Watzke said in an interview with news agency dpa. "It's completely normal that they want to put us under pressure." Watzke said Bayern remained favored for the title, but he was happy that his team had made the top of the league competitive again. 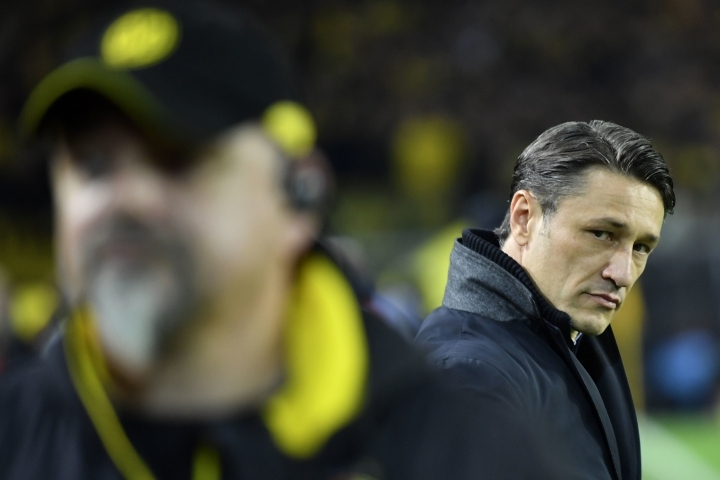 "For us it's much more important that we've shown German soccer that we are a force again, that we've brought excitement back to the league," Watzke said. Dortmund has a difficult restart in the league on Saturday, playing in Leipzig. Both Dortmund and Bayern have reinforced their squads, with the former signing Argentine central defender Leonardo Balerdi from Boca Juniors to help cover its defensive worries. 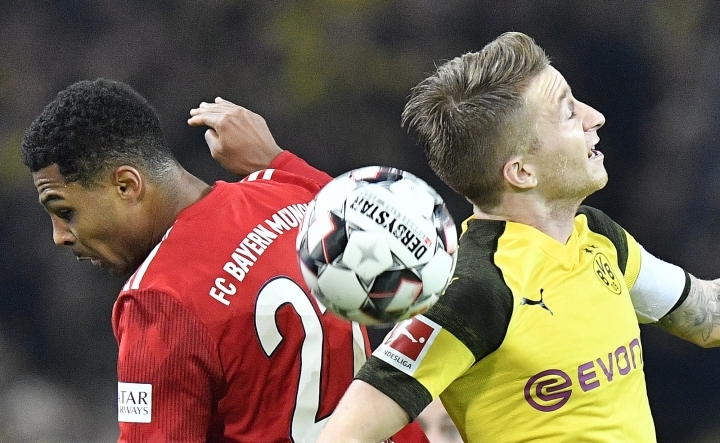 Defenders Manuel Akanji, Dan-Axel Zagadou and Abdou Diallo were all injured before the break. Bayern has boosted its attacking options with the signing of Canadian youngster Alphonso Davies from the Vancouver Whitecaps. The $22 million deal was a record for a Major League Soccer player.